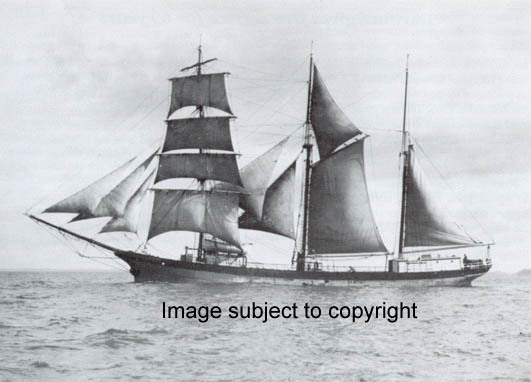 1908 built as 3-masted schooner named CARLA for Danish owners in Marstal. 1912 sold to A. Hatrick & Co. of Wanganui. Named WANGANUI. 1917 sold to H. Bleakley of Sydney, N.S.W. 1918 sold to W. Archibald of Auckland. 1922 sold to G.T. Niccol of Auckland. 1923 sold to Northern Steam Ship Company for use as a hulk, storing both oil and coal. 1948 Feb stripped and sunk outside Cuvier Island off the Coromandel East coast.